For two decades Mike has used his ethnobotanical skills to assist native peoples in their journey towards decolonization, cultural revitalization and sovereignty. As a scientist he’s been intrigued with learning traditional land care methods used by indigenous peoples, not just as a snapshot of the past, but as a model for future sustainable communities which enrich the ecosystems they inhabit. While developing a sustainable farm in Guatemala he was introduced to permaculture and his vision of humans living as a beneficial part of the ecosystem was further clarified and he continues to infuse permaculture teaching with the indigenous ecological knowledge he has learned from native Hawaiians, the Q’eqchi’ Mayans, Kitanemuk, Serrano and Myaamia tribes. He currently teaches the introductory permaculture design course, and numerous other horticulture-related courses, at Santa Barbara City College, while serving as the chair of the Environmental Horticulture Department, and continuing his cultural revitalization work with the Myaamia people (Miami Tribe of Oklahoma). He finds the focus on connectivity, in permaculture, between humans, animals, plants, each other, and the land, to reflect the teachings of the indigenous culture’s he’s worked with. 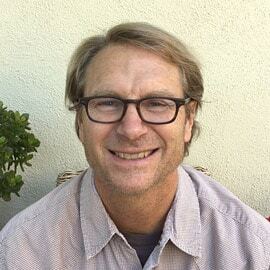 As a permaculture teacher and fan of Quail Springs for 10 years, he values being able to share this focus with his students—understanding that everything is connected, and those connections/relationships are the most important part of our socio-ecological systems, and honoring those connections is pivotal to the future of humanity.